I’ll admit I own too many jeans to keep track of and could easily narrow my collection down to five pairs and be perfectly okay. Not only do I have a thing for always trying out the latest denim trends, but I also hoard vintage Levi’s, so that should give you quite a visual of my jeans selection. Always down to add a trend-driven pair to my rotation, I even recently purchased these super-duper-baggy jeans from Agolde and whipped out my trusty skinny jeans to style with Western boots the other day. 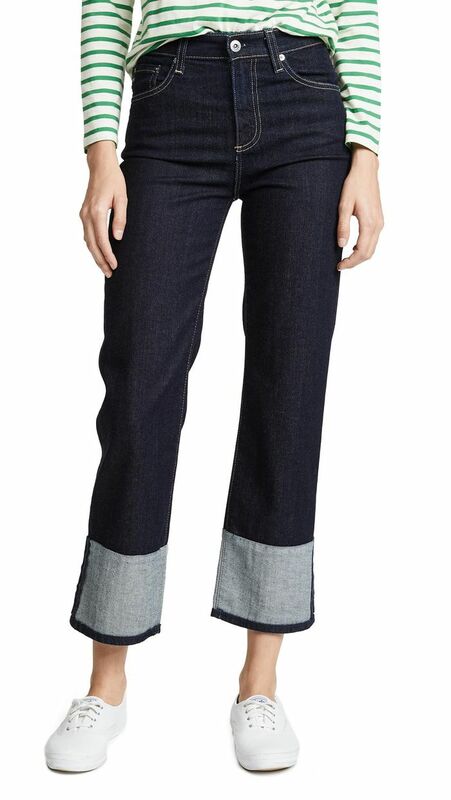 That said, there’s something about one denim trend—cuffed jeans—that had me hesitant at first. As experimental as I am with jeans, I just didn’t see myself giving into this throwback trend. However, thanks to brands like AG and James Jeans, I’m pleasantly surprised to find myself eyeing the early ’00s look again. I’m realizing the jean style lends a laid-back look and makes for a cool new pair of jeans to style with sneakers to run errands on the weekend. 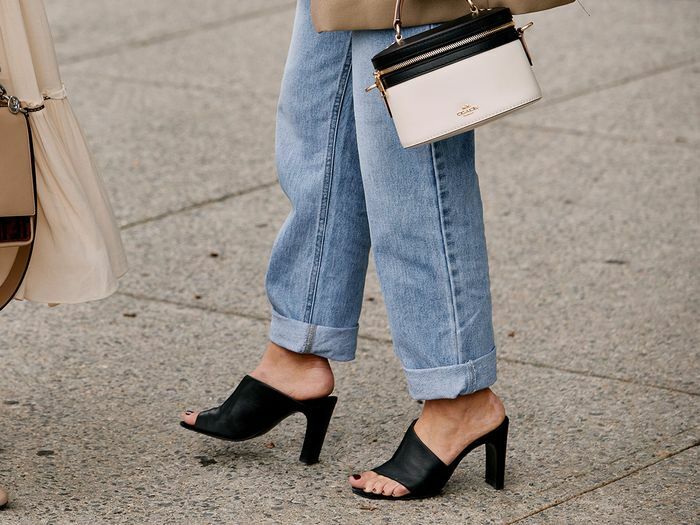 In case you’re interested in adding the denim trend that’s cool again to your wardrobe, I’ve shopped out the best cuffed jeans available right now. So into the dark-and-light contrast here. A classic blue jean hue. A high rise makes this style even more laid-back. You can't go wrong with J Brand jeans. Style these with a simple black turtleneck for an easy fall look. We're into the bright orange sweater here too! Not your average black jeans. Subtle distressing always adds a nice touch. Pair these with your favorite sneakers. These make for perfect everyday jeans. A cool way to update your white denim selection. A fresh spin on skinny jeans. The distressed cuff adds an edgy touch here. Up next, shop everything you need to wear with your jeans this fall.